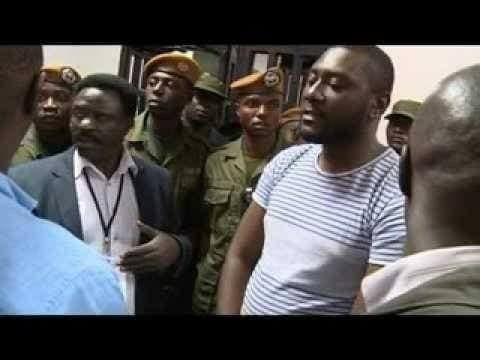 The family of Samuel Chavula, the IT specialist who helped president Edgar Lungu rig the last Presidential elections has appealed to the latter to help secure his release from Kamwala Remand Prison. Chavula is incarcerated at Kamwala remand for some offenses, among them obtaining pecuniary advantage from his landlord, the Watchdog understands. Chavula was part of the PF rigging machinery under the command of Lusaka lawyer Kelvin Fube Bwalya (KBF) who has also since been dumped by president in preference for MMD officials such as Vincent Mwale, Dora Siliya, Bowman Lusambo and Nakachinda. Sources close to Chavula say that he regrets having helped Lungu rig the 2016 elections which he now says were clearly won by the UPND President Hakainde Hichilema. Chavula had earlier approached KBF for help but the lawyer also declined as he has distanced himself from past illegalities of the PF in his attempt to position himself unblemished in his quest to become a possible successor to President Lungu in the PF and ultimately and remotely as Republican President. Fellow inmates of Chavula spoken to at the prison described him as a sorry sight, suicidal and seemingly having a mental breakdown. During the last general elections, Samuel Chavula was caught in the server room at the Mulungushi tallying centre complete with access cards that were traced as having been provided by Electoral Commission of Zambia Director Priscilla Isaacs who has since resigned under unknown circumstances. Chavula was arrested and detained at Lusaka Central Police but mysteriously released believed under the heavy hand of Edgar Lungu. It is that same heavy hand that his family is appealing to, to once more intervene and have him set free.